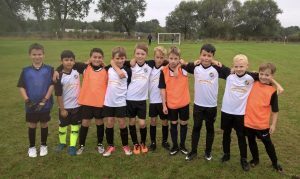 The West Under-9s Owls had enjoyed a positive result as they beat Wilmslow Town Jaguars 5-4 thanks to a late goal from Jude Pinson who bagged himself a hat-trick. There were also goals from Harris Mahmood and Kaiden Jeffries as the Owls ensured that West wouldn’t leave the Wilmslow double header empty-handed. It was less so for the Under-9s Eagles were beaten 5-0 away to Wilmslow Town Panthers thanks to the intervention of player-of-the-match Bailey Barrington-Day who kept the score-line down almost single handed. The Under-13 Badgers were involved in a thriller away to South Manchester Sports this weekend. The Badgers were 3-0 down within a blink of an eye but raliled back to bring the deficit to one at half time with the score 5-4 but were undone in the second half with some clinical finishing by the home side. Despite goals from Isaak Haynes (2), Teddy Willis (2), and Kayden Power they produced a very West-esque score-line losing 9-5. 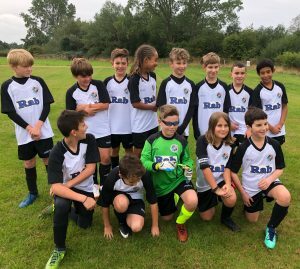 It was an afternoon to forget for the Under-13s Magpies who started life in Division 3 on Sunday with a heavy 8-0 defeat to Cheadle Royals. In their first ever game the Under-17s took on Hale United U19s on Sunday morning. Despite being 3-1 down at half time rallied back to win 5-3 with goals from Joey Demby-Harris (3), Finn Hughes and Sami Zaman. The 17s showed impressive resilience against a side two age groups above them. Despite goals from Iwan Thomas and Sam Maher the Under-12s were forced to settle for a 2-2 draw away to Ashton Spartans. Player of the match was awarded to Jacob Hills. As is becoming a habit for West team the Under-15s were also involved in a thriller as they lost 4-3 at home to St John’s despite a Nicquille Clifton hat-trick. Finally, the Under-11s were beaten at home to North Trafford in the Portgual League with George Roskell netting for West.